Surface mount component removal can often be tricky. 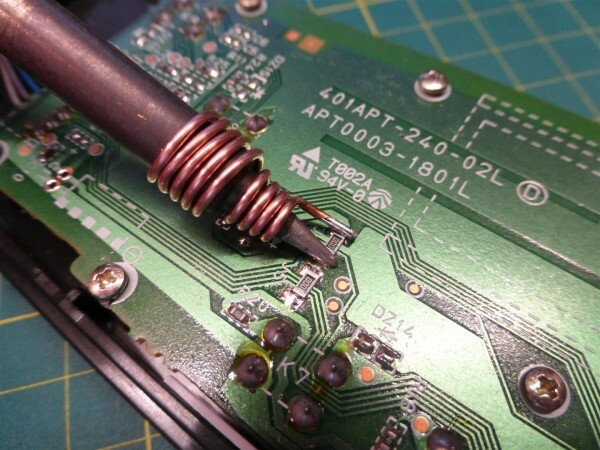 With a little thought, and a piece of copper wire, small components can now be safely and cleanly removed, without damage to either the component or PCB tracks. In the following video I show you how to make an quick and simple adaptor for your soldering iron. Macgyver would be proud! This entry was posted on Thursday, May 22nd, 2014 at 11:00 am	and is filed under how-to, tools. You can follow any responses to this entry through the RSS 2.0 feed. You can skip to the end and leave a response. Pinging is currently not allowed. I Like it, it”s a good idea.